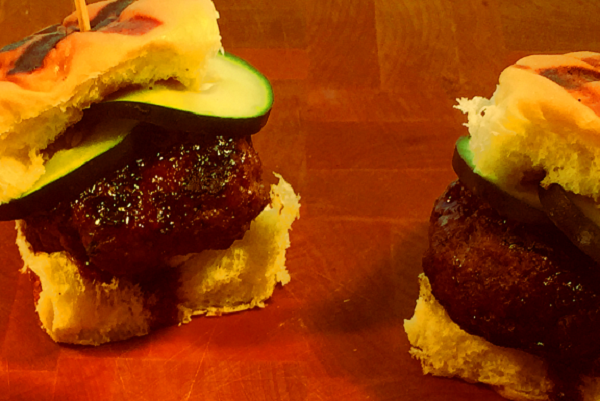 Mini Asian infused burgers topped with pickled cucumbers on sweet Hawaiian rolls packed with big Asian flavor and served with roasted potatoes. Grill and assemble in 10 minutes flat. Preheat Grill. Grill patties between 3 mins per side for medium rare & 5 mins per side for well done. Heat buns on the grill about 30 seconds. Reheat teriyaki sauce in the microwave about 2-3 mins on HIGH power until warm. 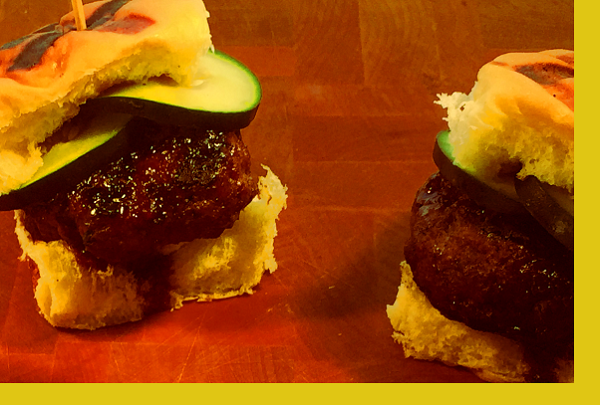 Top each cooked patty with teriyaki sauce, place in bun and add pickles. Serve with roasted potatoes. My kids and entire family love this meal. Prepared it for a small graduation celebration as well and everyone loved it. The homemade pickles are a treat with this meal! We tried the Asian Sliders & wished we had ordered more for the next day. Really great flavors between the soy sauce & pickled cucumber garnish. Can’t wait until it comes around on the menu again. These things were amazing! They are at the very top of my order again list!! The flavor and texture combination of the sliders was on point. Absolutely amazing flavors. We enjoyed every last morsel. The sliders were so good and very easy to cook. Loved the sweet flavor and crispy cucumbers to top ! !